Why do educators seek to label more than one-third of our nation's schoolchildren as "learning disabled" when clearly they are not? 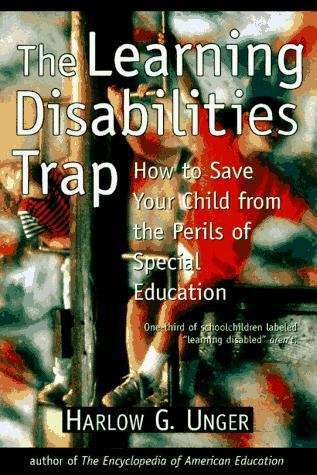 This practical, easy-to-use book answers that question and shows parents of school-age children how to distinguish between normal learning differences and true learning disabilities; how to have your child properly evaluated at the first sign of a learning difficulty; how to help your child convert learning differences into learning advantages; how to select the right school or program for your child; and how to stimulate your child's intellectual development from infancy onward to enhance progress in school. This book shows parents how to give their children the learning tools and support they need. It also includes core curriculum milestones by which parents can evaluate their children's progress and lists of organizations and schools that can help.